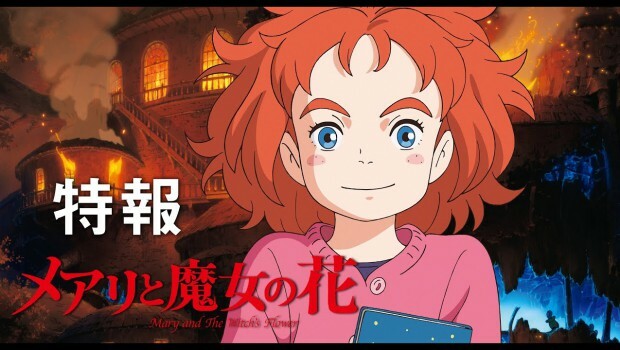 Studio Ponoc , the anime studio founded by former Studio Ghibli producer Yoshiaki Nishimura , announced its first feature length anime film Mary and The Witch’s Flower ( Mary to Majo no Hana ) on Thursday. The anime will debut in summer 2017. The film is based on Mary Stewart ‘s book The Little Broomstick . 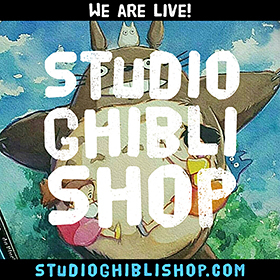 Studio Ponoc posted both a Japanese and an English trailer. While the Japanese trailer reveals a summer 2017 debut, the English trailer just lists a 2017 debut. 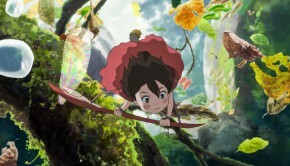 Hiromasa Yonebayashi , who directed Studio Ghibli ‘s Arrietty and When Marnie Was There , is directing Mary and The Witch’s Flower , and is also penning the script for the film alongside Riko Sakaguchi , who wrote the screenplay for Isao Takahata ‘s The Tale of the Princess Kaguya . Takatsugu Muramatsu ( When Marnie Was There ) is handling the music. Nishimura is credited as producer. The staff page on the film’s website further notes that many former staff from Studio Ghibli have joined Ponoc in the film’s production. It is Tib the black cat who leads Mary to the strange flower in the woods. When she discovers a little broomstick shortly afterwards, she is astonished to feel it jump in to action. Before she can gather her wits, it is whisking her over the treetops, above the clouds, and in to the grounds of Endor College, where: ‘All Examinations Coached for by A Competent Staff of Fully-Qualified Witches.’ Here she discovers evidence of a terrible experiment in transformation – deformed and mutant animals imprisoned in cages. In the moment after her broomstick takes off, she realises that Tib has been captured. Returning to the College the following day, she manages to free the animals, but not before the Head of the college, Miss Mumblechook, and her colleague, Doctor Dee, have seen her. Mary manages to flee …but the evil pair are in hot pursuit! 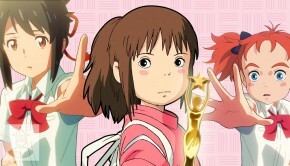 Nishimura founded Studio Ponoc on April 15, 2015. Nishimura named the studio after the Croatian word for “midnight,” signifying the beginning of a new day. 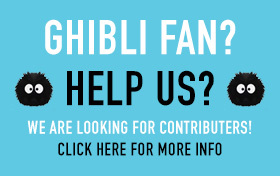 Nishimura left Ghibli at the end of 2014. Yonebayashi also leftGhibli at around the same time. 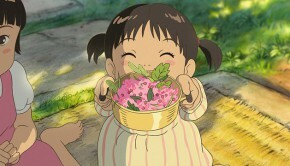 Yonebayashi previously stated that he wanted his next film to be the “opposite” of When Marnie Was There . Previously, Studio Ponoc produced anime commercials for the West Japan Railway Company (JR West) in 2015. 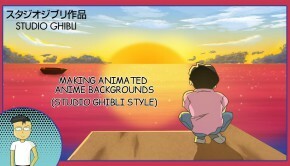 That project also involved Studio Ghibli veteran animator Yoshiyuki Momose (key animator for Porco Rosso , Spirited Away , Tales from Earthsea ) as director and animation supervisor.